Spring is finally in full swing. What does that mean? Rosé season is upon us! Can you hear the angels sing? Review: Oh, this is a nice one. This wine is a beautiful salmon-pink color. It shows aromas of raspberries, red currants and a touch of lavender. On the palate it has brisk acidity, but still a soft, round body. Berry flavors are joined by zippy spices and herbal thyme. The fruit lingers on the finish leaving me wanting more. This wine is a blend of Grenache and Syrah. It hails Vaucluse, a region of Provence bordering the Southern Rhone Valley. It is bottled soon after pressing in order to retain its freshness. Food Pairing: A cheese plate on a picnic. A sunset and your sweetie? Anything goes. Bottom Line: Beautiful, soft, and full of flavor. I dig it. And the third installment! We've had a blonde ale for the House Lannister, a stout for the Night's Watch, and now a red ale for House Targaryen. There are even three different labels, one for each of Daenerys's dragons. Blood: Red ale. I love red ales. They are typically made with malts specially selected to give fruity tones along with caramel flavor and color. Fire: Ancho chilies. A nice smokey heat. I had really high hopes for this beer. Unfortunately, I think this is my least favorite of the three GOT beers so far. I was looking forward to the sweet fruity notes from the red ale combining with the heat to make for an explosion of flavor. Instead, it fell a little flat. I think this series of beers is meant to have a broad appeal, but that seems to have taken the spark out of Ommegang. Bottom Line: Meh. Not a bad beer, just not as interesting as I wanted it to be. Tomorrow night I start my WSET Diploma class on Sparkling wine! I'm delighted and excited for 5 weeks of bubbles, and decided to open some to mark the occasion. This super quaffable bargain sparkler is made from Pinot Noir grapes sourced from the Maipú Valley and Uco Valley in Mendoza, Argentina. Pinot may not be what comes to mind when someone mentions Argentina, but just you wait. Review: This wine is a pretty pink color with nice soft bubbles. It shows aromas of ripe strawberries which are echoed on the palate. The Santa Julia maintains a nice acidity; this combines with a touch of residual sugar gives the wine not only a brightness but also a soft body. Food Pairing: Great as an aperitif. I can easily see myself sipping this outside on the porch after a long day at work. Or wine school. Bottom Line: There isn't too much to say. These bubbles are straight forward and easy drinking. I dig it. Here is the second in the Ommegang Game of Thrones series: Take the Black Stout. This Stout is for Jon Snow and the Night's Watch - hence the name "take the black". Clever, no? This beer was released in September of 2013, but I've been holding it for 7 months, waiting on pins and needles until the new season started. It didn't seem right to drink it during the hiatus, even though it was meant to be a winter beer. Never fear, I have a stash of the newest Fire and Blood Red Ale, too, to drink and post next week. Review: I'm generally a big stout fan. I like the depth of flavor, the toasty cocoa and coffee flavors, the texture. When I poured out the Take the Black I got really excited -- it looks super thick and creamy with a big fluffy head. The aromas are great, lots of rich chocolate and caramel. I wasn't sure if I would like the taste, as this stout is flavored with licorice root and anise. I was pleasantly pleased that the licorice note wasn't too strong! Just a hint that works nicely with a slight bitter finish. Bottom Line: Not for my favorite stout in all the land, but a nice beer. It will make for a great accompaniment to the premier of Season 4! Non-Reviewing Post: What is wrong with my wine? But what is cork taint, you ask? Why was my wine ruined? Cork taint is a primary cause of product loss and failure, caused by 2, 4, 6-trichloranisole (TCA) and 2,4,6-tribromoanisole (TBA). These little compounds cause a wine to take on odors of moldy basement and wet cardboard even at very low doses; they render a wine dull and flat at best -- undrinkable at worst. According to a 2004 Australian study 8.45 percent of wines are affected by TCA or TBA. That's like one egg in ever dozen being bad. Crazy, right? This high possibility of cork taint is why we have the tasting ritual in restaurants: when your Sommelier pours you a sip to taste, it's not to make sure you like what you ordered -- it's to ensure that the wine isn't fundamentally flawed by cork taint (or one of several potential other defects). While we call it cork taint for simplicity's sake, TCA and TBA can contaminate not only corks, but all sorts of wine making equipment: barrels, wooden barrel platforms, hoses, gaskets, etc... Just because you pick a bottle without a cork doesn't mean you're safe from the cork taint demon! 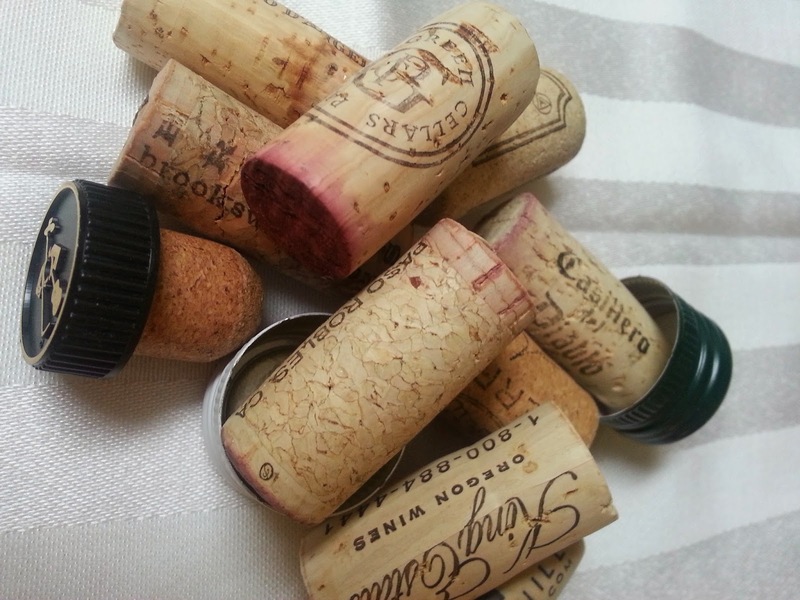 So what do you do if you have a "corked" bottle? Rest assured. Take it back to your friendly neighborhood wine shop. They should happily swap it out for a new bottle for you.